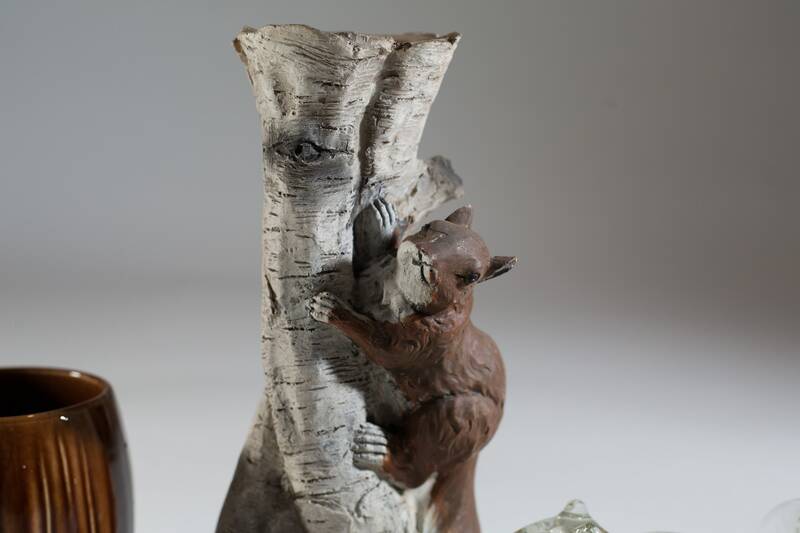 Add a touch of wilderness to your living space with this fab set of chipmunk/squirrel decor. 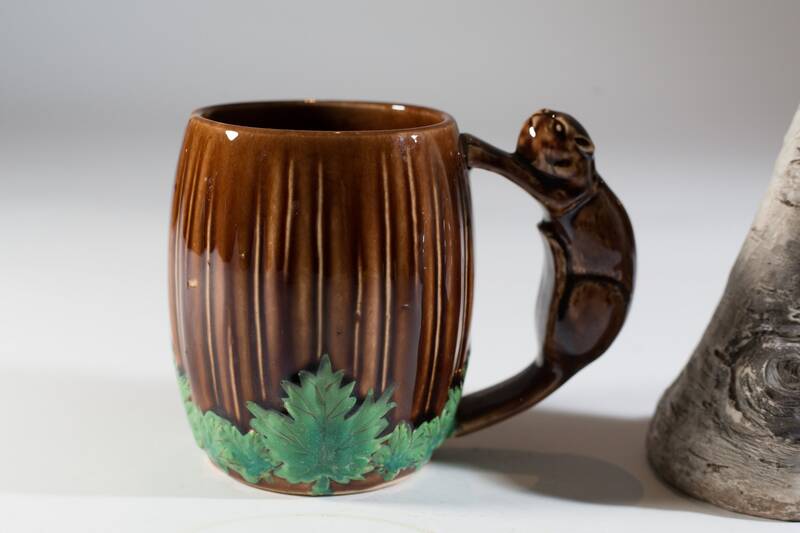 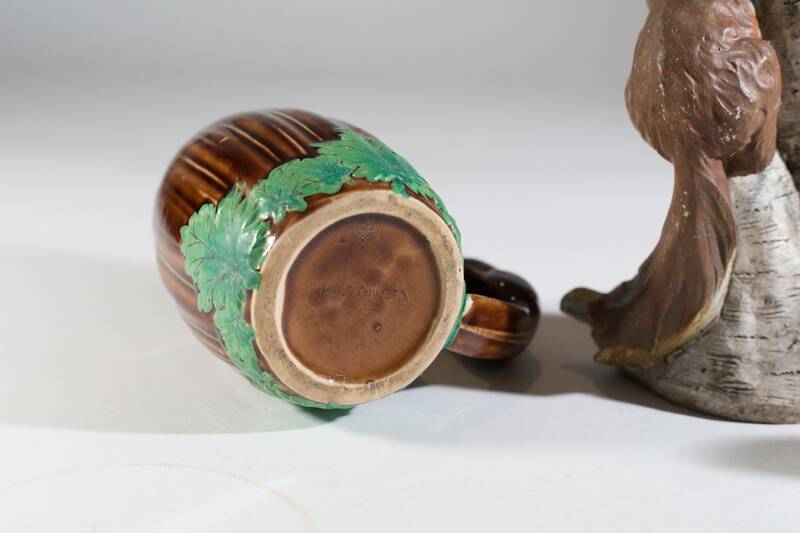 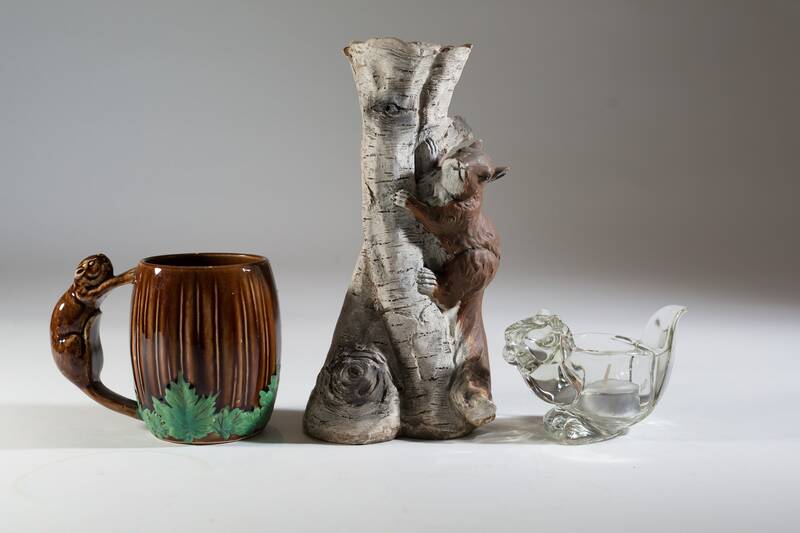 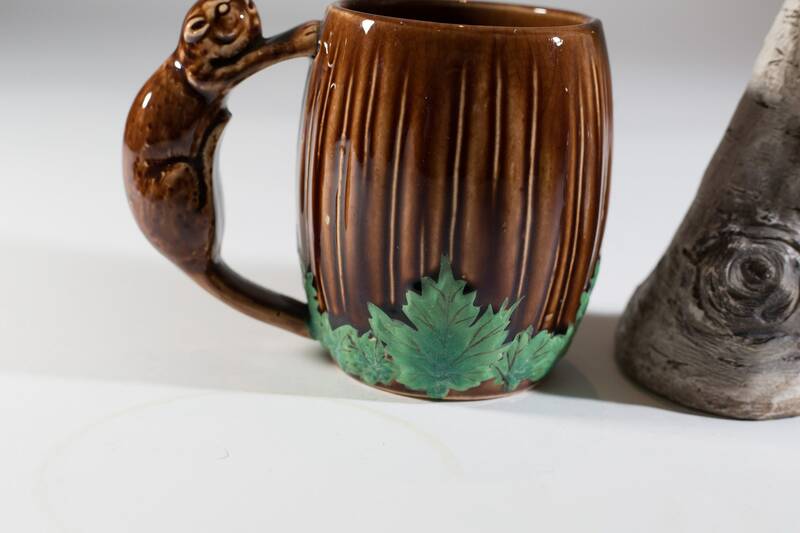 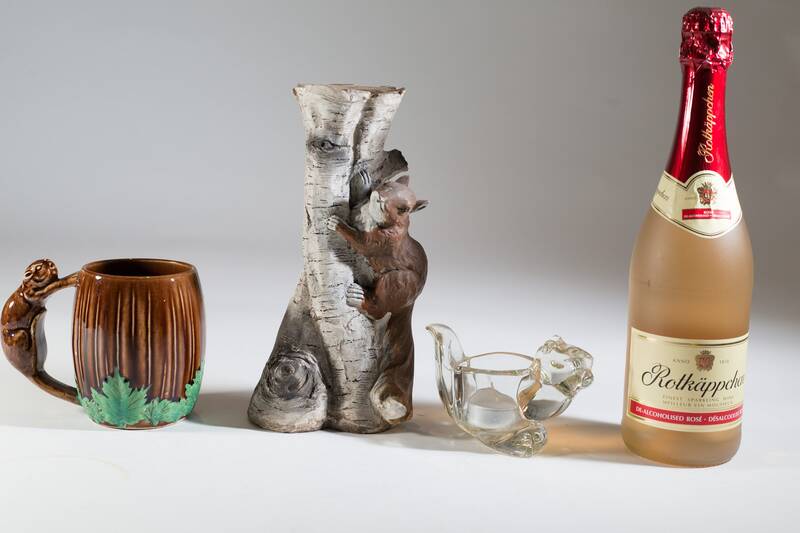 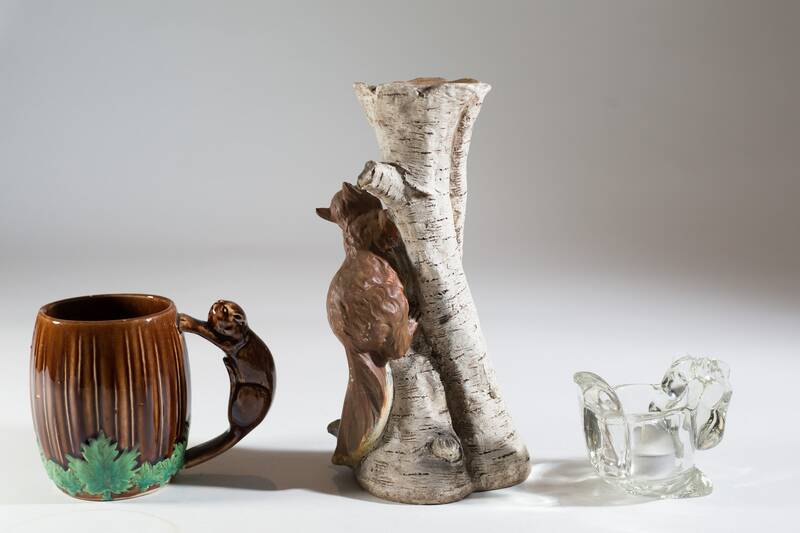 Included a ceramic mug with chipmunk handle, chipmunk glass candle holder, and tall plaster candle holder. 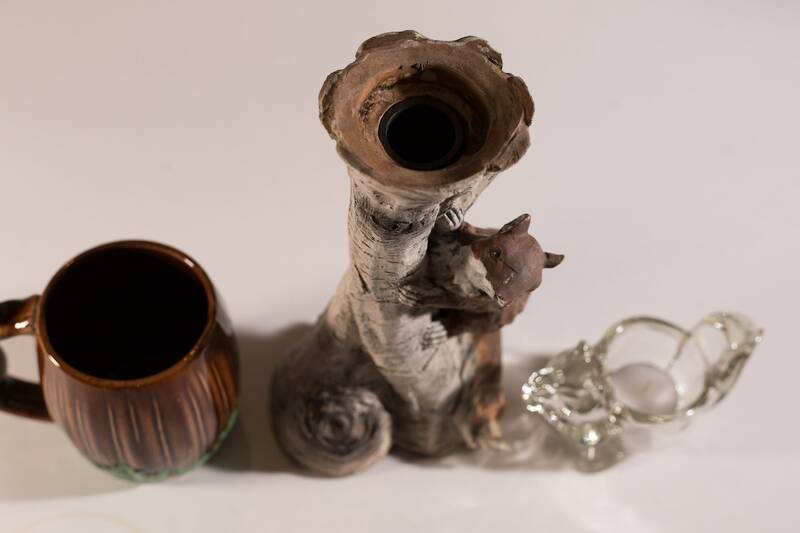 Large candle Height: 10 inches. 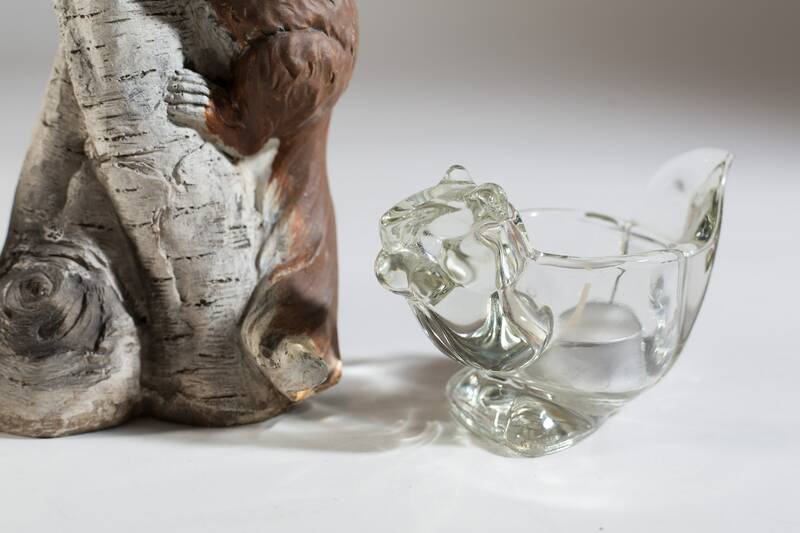 glass candle holder: 5 inches.